Conserving coastal and marine ecosystems and wildlife. 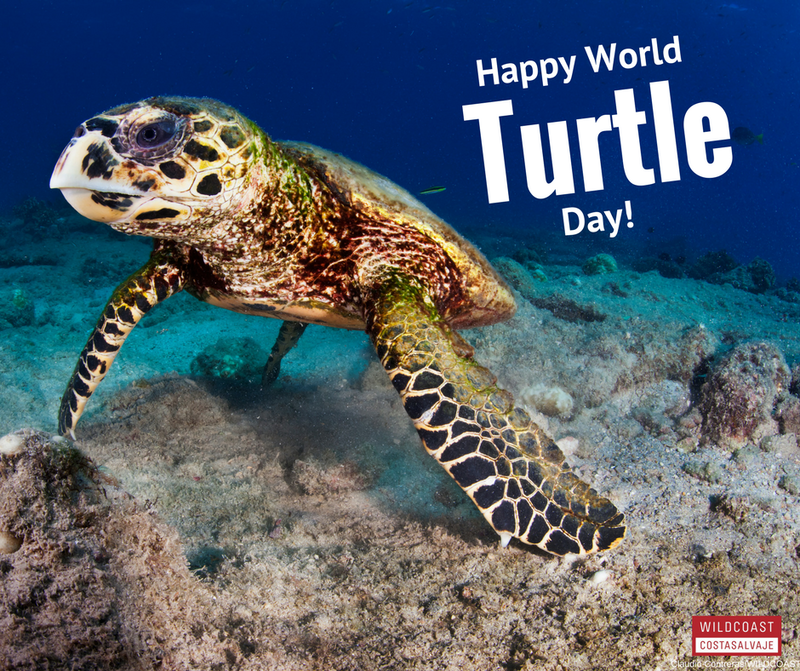 Happy World (Sea) Turtle Day! Sea turtles are some of the most ancient animals in the world, having been around for over 100 million years. Unfortunately, due to natural and human pressures, they are now classified as either threatened or endangered. But why should we celebrate them? Sea turtles play a vital role in maintaining the health of our oceans. There are only seven species of sea turtles in the world, compared to over 300 species of terrestrial turtles. These seven species are: leatherback (Dermochelys coriacea), loggerhead (Caretta caretta), hawksbill (Eretmochelys imbricata), olive ridley (Lepidochelys olivacea), Kemp’s ridley (Lepidochelys kempii), green (Chelonia mydas), and flatback (Natator depressus). 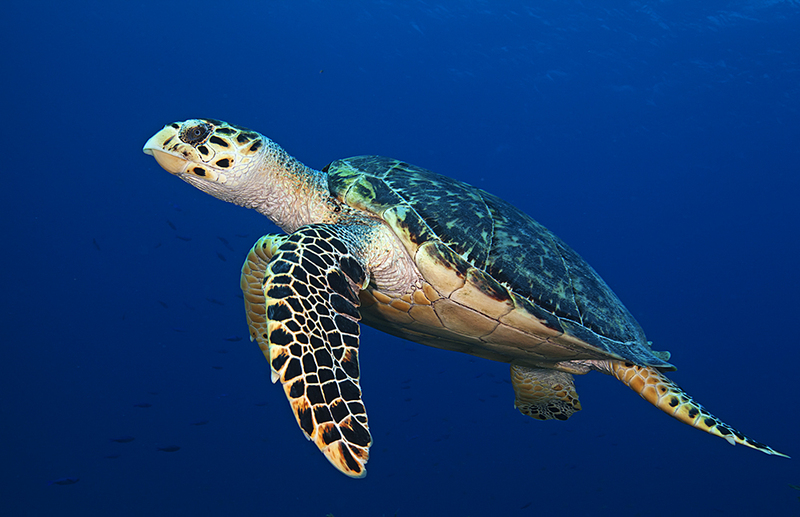 Sea turtles help maintain healthy oceans. Leatherback sea turtles like to eat jellyfish which help prevent large jelly “blooms” in the ocean that hurt fisheries and marine recreational activities. 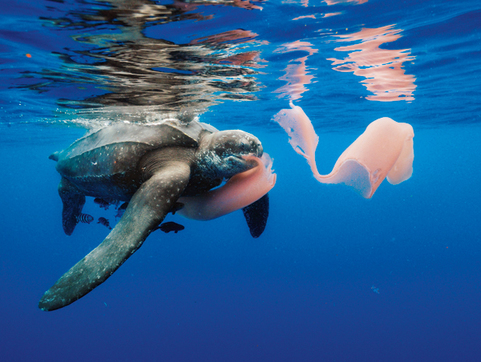 Unfortunately sometimes sea turtles mistake jellyfish for plastic bags. Some love to “arrive” in style. 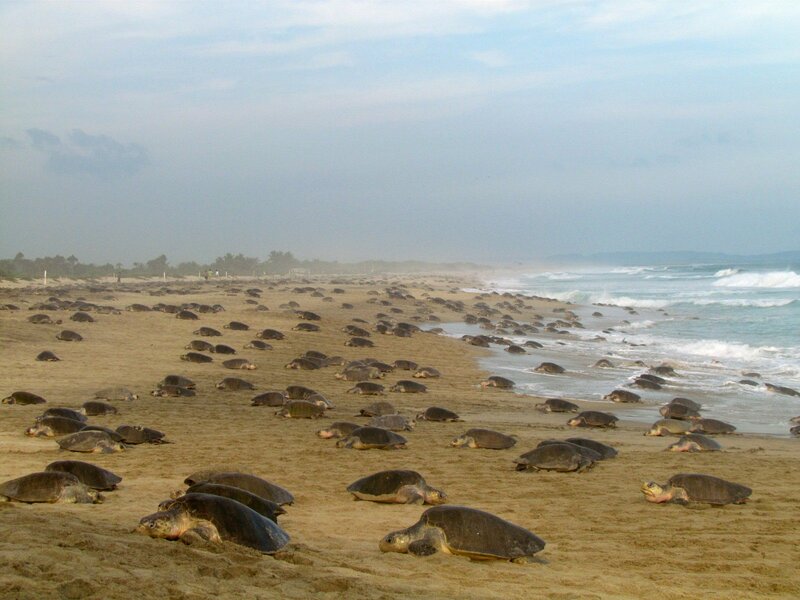 For most sea turtles, laying eggs is a solitary activity, but for the olive ridley and Kemp’s ridley, they like to do it in LARGE GROUPS! 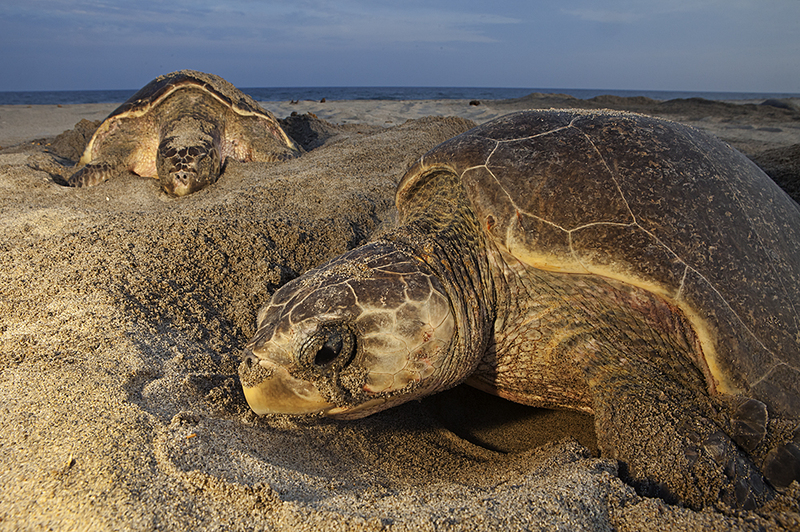 In what are known as “arribadas” olive and Kemp’s ridley groups of up to 500,000 sea turtles lay eggs at the same beach during the same days. This phenomenon only happens in a few beaches around the world. Two of them in the coast of Oaxaca where WILDCOAST works. (link to our web page). During incubation, the gender depends on how cold or hot their environment is. 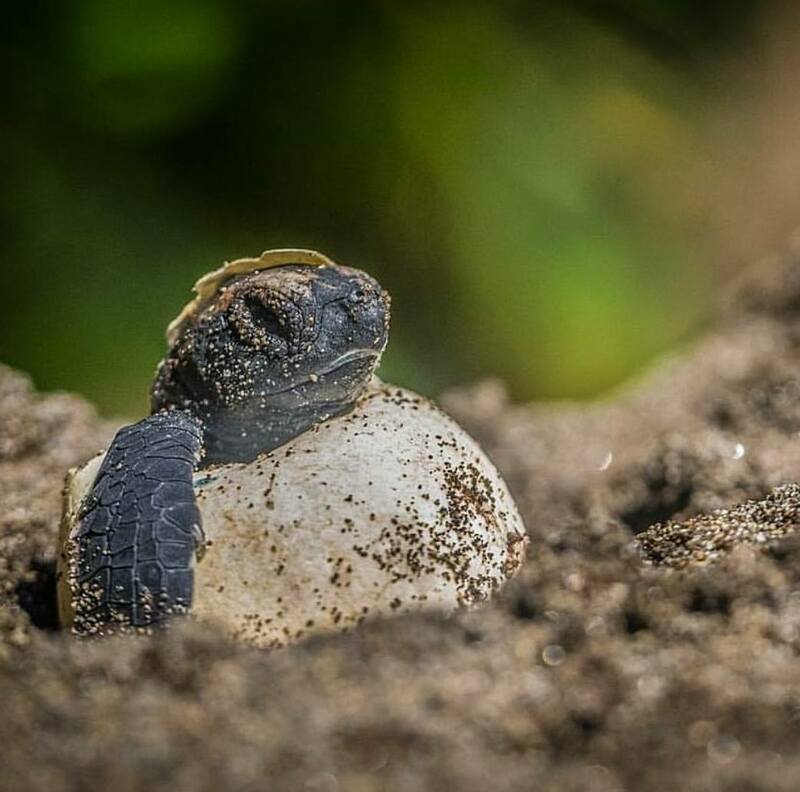 Warm temperatures tend to produce more female hatchlings, whereas cooler temps result in males. ALL seven species are either endangered or threatened because of US. Human pressure has caused a decline in sea turtle population due to habitat loss, pollution, by-catch, and consumption of their eggs and meat. Even though some populations have recovered thanks to regulations, they are not out of the woods yet. Scientists believe that only 1 out of 1,000 sea turtles live to be an adult. « Meet the New WILDCOAST Team Members!